Homespun Stitchworks..... For the love of vintage: The Dress and other delicious distractions. going to make me a dress out of a very old French linen sheet in the natural hand woven colour. I have been up there and we have discussed the pattern ( which is very simple indeed but very me. Being that I am only just over 5ft 1" tall it is the length that I would like as well. I have chosen the antique mother of pearl buttons that I would like to button up the back and all is set to commence in the next 10 days. Now the fun part I am doing all the hand work on the dress and having so much fun with it this beauty will be unique to moi and if it goes well I will have a few more made with the same pattern and with me doing all the hand embroidery things. I want the embroidery and appliqué to be partly garden/flower related and partly stitchery and those two subjects blend so beautifully. The picture above you see is ready for embroidery and the thread I am using on the words is the hand dyed shaker thread called Holly Berry. There will also be victorian tiny fabric Suffolk puff flowers as well as some hand embroidered ones as well. When it is finished I will take a photo for you all. It will be some weeks yet as one Debbie is busy and I am on a list but also I have to stitch these between other projects as well. Because I am not a seamstress I know it would take me so long to figure it all out so therefore this was the solution for me and great one too. So not only have I been designing my own dress but little bits to stitch on it to make my own and it is really lots of glorious fun. In addition to this off piste activity here at Homespun HQ I have started cutting out some fabric pieces for my Winter Start quilt hanging and I am delighted with the fabrics I have begun to choose. There is a lot of white in the quilt but again this will be vintage French linen not calico off the roll fabric I have decided, a all vintage fabric wall hanging it is. I have been sorting through the fabrics and choosing carefully. The middle of the quilt is very white too because it is a snowflake when stitched. I am going to hand embroider one of the hexagon shapes with the words 'Winter Star' and the date. On another one I am going to get my mum to write her name and then I am going to embroider it as well. £7.00 I got 200 of each shape so I could make more of them if so wished. All I have to do, is choose the fabrics, and cut several a day and by the time it comes to hand stitching time this Winter all I will have to do is choose from my project basket full of gorgeous fabrics already and awaiting and just sit and stitch. This is my plan. Half an hour a day will see them all cut in plenty of time. I have not cut out the pieces so as to not waste fabric this time but to get the maximum in pattern so I have a few bits left over and what I like to do is cut out free hand tiny hearts for my' jar of hearts' and so this so far is my little bundle to do just that with. If it is just little strands I keep those in a box for other layered work. This bundle however was made for hearts and actually a good colour match for them as well. You will remember last year I started this jar. When I am working and think a heart may be pretty on something then my go to is my jar to look there first before I cut into a larger piece of precious vintage fabric ..
Well I best get on I have hardly started on my Summer Sampler with the bees because I have been so excited like a puppy with everything else as well. I need to settle down now and do everything else early evening as it is not dark until after 10pm so there is no urgent rush to be doing it in my working day ... but I haven't been able to help myself! Wow! your new dress sounds lovely. I hated needlework at school too, as well as the teacher not liking me either didn't help. On one occasion the the class bully stuck a pin in me and I went ouch! and consequently I was the one thrown out of class! But give me embroidery and I am in my element. Ah school days and it can be cruel as you say. Dress making not my thing but I am having fun designing the few add ins! Embroidery is a slow and relaxing art with not reams of fabric to grapple with and don't get me started on tailor tacks! 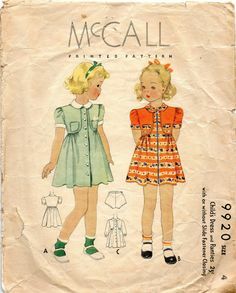 Isn't it funny how for many of us memories of school sewing classes aren't happy ones? I made a teddy dog under protest and sewed him in purple ears and the teacher's comment was 'ugh'! She didn't like me either, presumably because I wasn't skilled in sewing. Sadly I can no longer cross stitch, but knitting, now that is where my strength is and that has only really blossomed in later life. The dress sounds terrific and I bet you are so excited! It's dreadful isn't it. I know education is paramount and the three R's are important along with languages, history etc but sewing is offered and I think there should be choice. Dress making and furnishings or embroidery and appliqué... slow stitching should be offered. In addition freedom to create and express yourself in this art form. So many friends I know hated sewing at school and found they love it now .. I guess it's a strict curriculum regime. And yes your knitting is awesome ! Oh gosh, yes one of my teachers really seemed to dislike me as well and I remember being so scared to show her my poorly sewn doll. I was only about 7 or so and couldn't understand why she always seemed nasty. Maybe it wasn't just me she disliked but I can't remember now. I was always very quiet and well behaved. I've grown up thinking that I can't sew but have gradually gained confidence and a love of fabric. Now see why we're all needlework teachers mean!!! ? So much talent out there that was never nurtured. Thank I can not wait for Debbie to start making it .. so excited. My needlework teacher was Miss Wasman and she was fierce too! Maybe that's what is needed on their CV! I think the teachers today are better in the needlework departments, I mean my Art teacher was fabulous and I know a fabulous Art teacher now ( you know who you are Clare!) but I just hope that this again popular pass time or indeed job makes children passionate about it because they are encouraged rather than told UNPICK IT ! !